P.S. 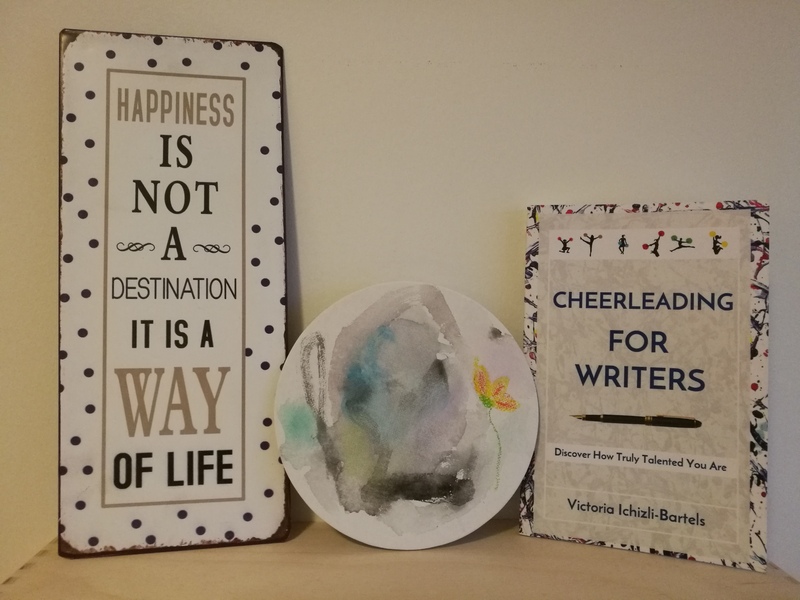 If you would like to enter a contest where you could win a copy of Cheerleading for Writers then click on the picture above or here. P.P.S. The art in the middle of the picture is by my son and me from May 31, 2014, more than a year before Optimist Writer and three years before Cheerleading for Writers were born. I have sweet memories of creating this with my son when he was as old as my daughter today, a little shy of 4 years old.